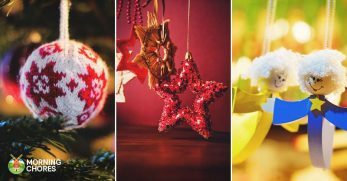 Do you heat your home with wood during the colder months of the year? 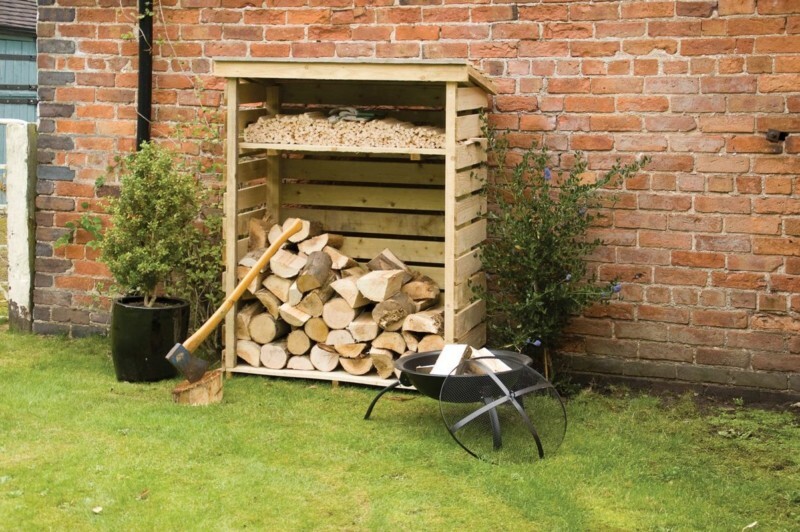 Are you searching for the perfect place to store your chopped wood? 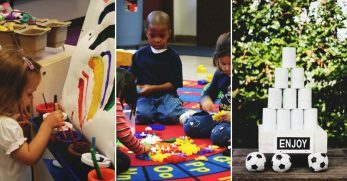 Look no further because we have you covered. I’ll be bringing you excellent firewood shed plans and design ideas. 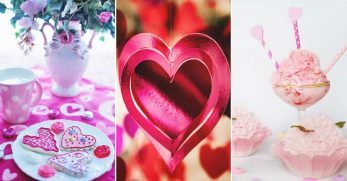 It’s our hope you’ll find the one which will meet your needs. Whether you store only a small amount of wood or a significant quantity, there will be something for you. 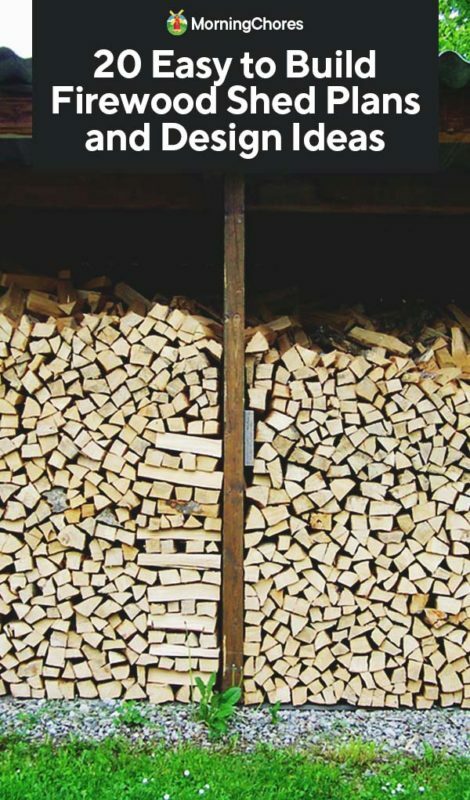 Don’t leave your wood stacked in the elements. 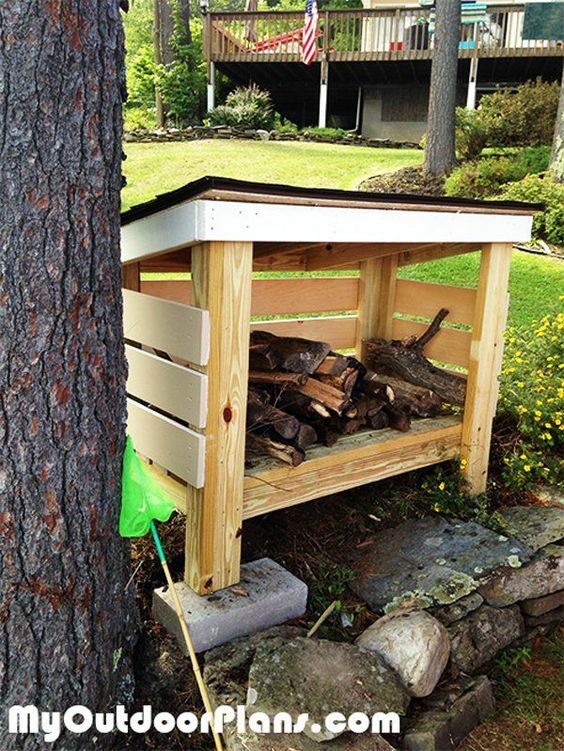 Build the perfect shelter to keep your firewood dry and ready to burn on those cold nights. 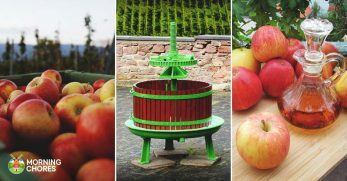 Do you live off-grid? 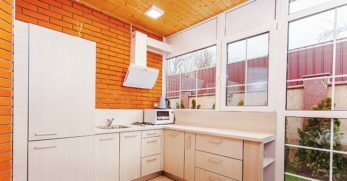 This could mean you heat your home with wood, but this also puts you in an unusual situation when trying to build because many off-grid places have limited alternative electricity sources. Well, this firewood rack can be built without the use of any tools. 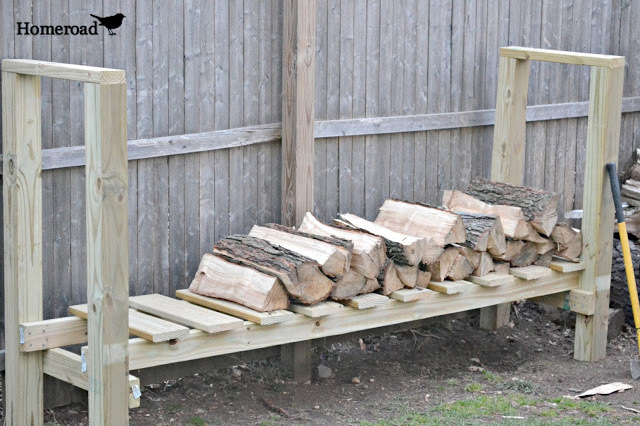 Plus, it’s a great way to keep your wood neatly stacked together. 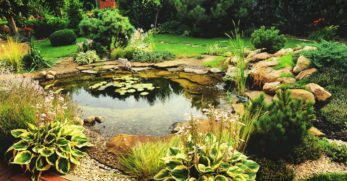 You could add a roof if you live in an extremely damp climate. One might assume you have to heat an entire house with wood to need a firewood shed, but this is not true. In reality, if you have a firepit you like to keep warm around during the fall months or to use for entertainment, then you might find a mini-woodshed in your backyard to keep your wood neatly stacked and dry quite useful. 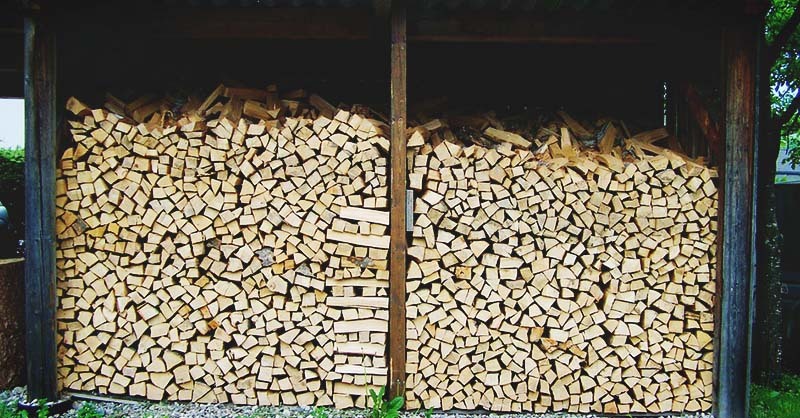 Do you have a barbeque or smokehouse you need to keep going with firewood? You need to keep your wood dry, in this case. Consider using this idea for a smoking rack. You put the larger pieces of wood in the bottom section and the smaller wood in the top part of the rack. It’s organized and makes using the wood easier. This firewood rack comes with a tutorial on how to build it, but you won’t need it most likely. You can tell how the rack is put together by looking at it. 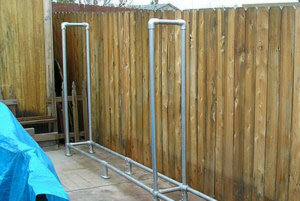 The rack has cinderblocks under it to steady it and has four posts. The posts have a rectangle of wood at the bottom and one at the top. This completes the rack and should hold enough firewood to keep you warm for multiple nights. 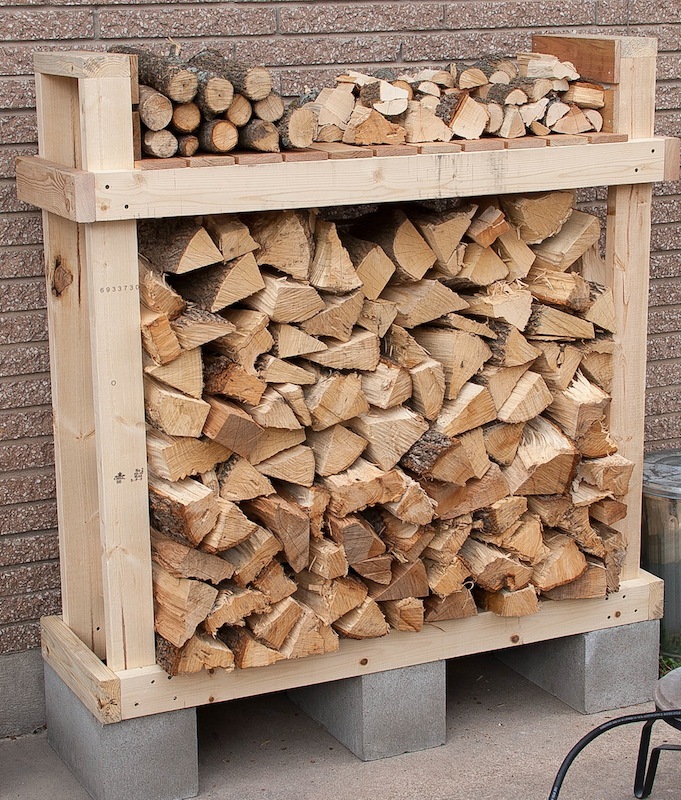 Do you want to build a firewood rack, but you want to use something different than wood? This one should be right up your alley. It’s built from metal poles and fittings. 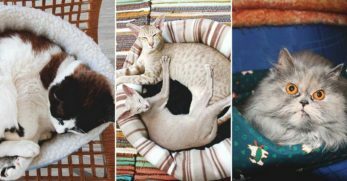 They’re arranged to create a stable rack which can be as large or small as you like. 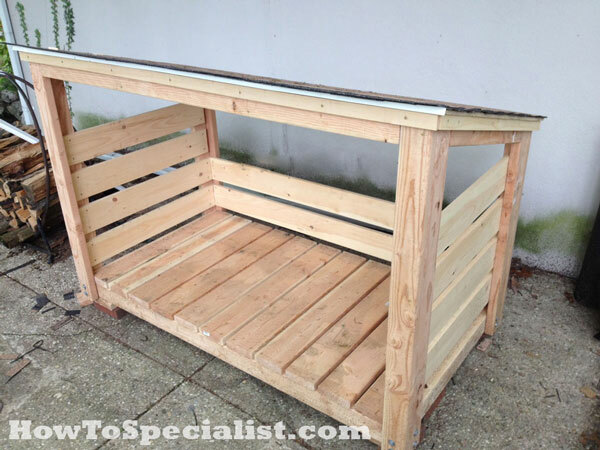 If you can get your hands on quite a few pallets, you could have your shed done in no time. This shed has both sides and a roof. 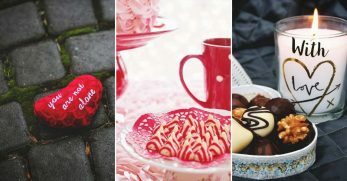 But it also contains a detailed tutorial with lots of pictures to walk you through each step of the process. 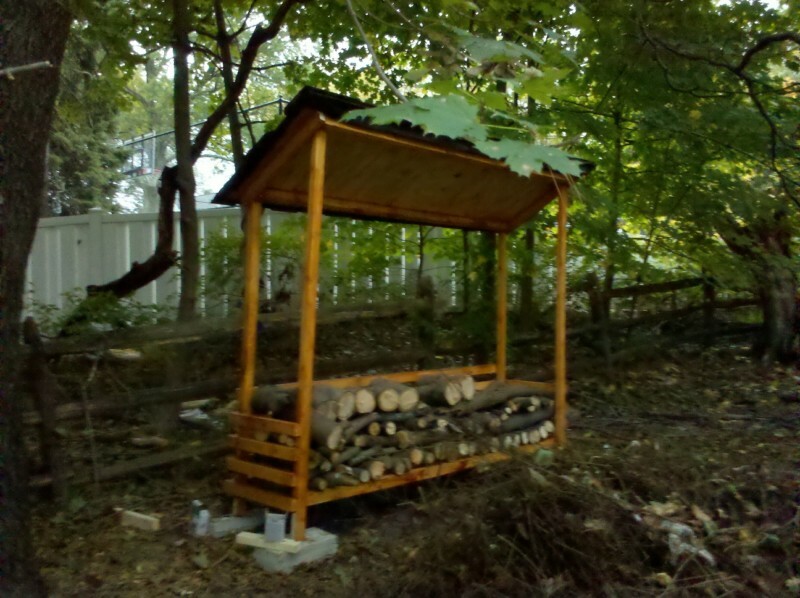 This firewood shed could be inexpensive, easy to build, and functional too. This shed is unique and not something you see regularly. In fact, I’m not sure I’ve ever seen one quite like it. However, if you have wood to build a frame, you can wrap the outside of the shed in plastic. This draws heat and helps to dry your firewood even faster. 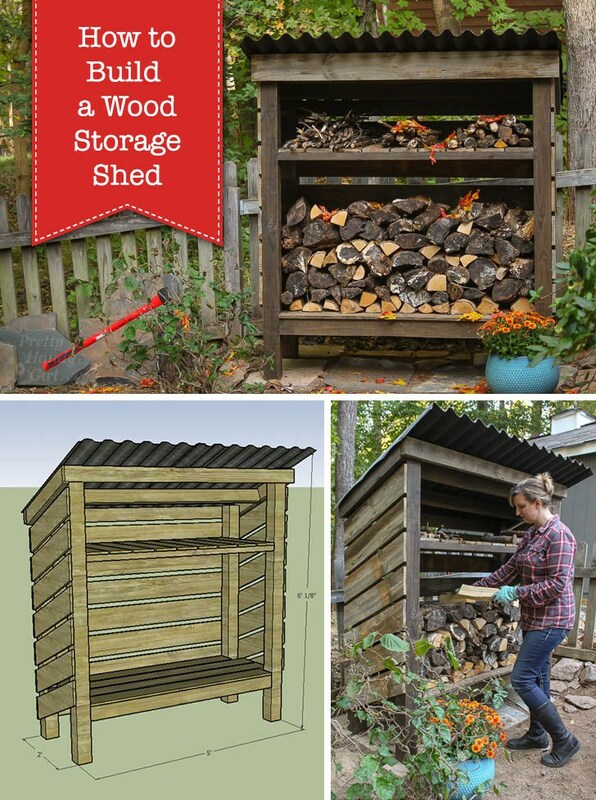 If you like the idea of having a wood storage shed with two sections (one for the larger wood and one for kindling) you’ll love this. 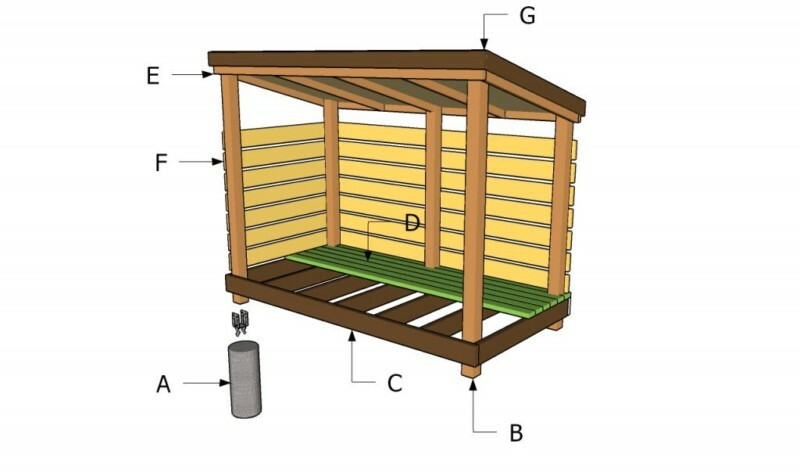 This shed has the two different sections, a slanted roof covered in metal, and is a great size for your firepit, and it comes with a handy tutorial to walk you through the process. Do you need a woodshed which is sensible, straightforward, and can be built with little to no fuss? This is your wood shed. It looks similar to some of the other shed ideas shared, yet this one comes with a helpful tutorial and has only one section for storage. This is another firewood rack, but unlike some of the others shared, this rack is meant to hold ‘mac daddy’ pieces of wood. 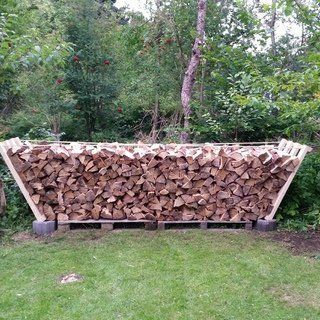 Therefore, if you’re someone who heats your home only with wood during winter months, and you use large logs to burn for longer times, you’ll enjoy this rack. It can hold large chunks of wood and has a helpful tutorial for the build too. Who says a firewood shed has to be done in the typical design? 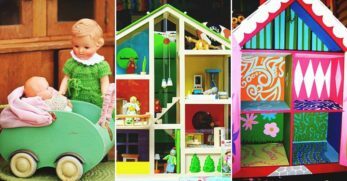 According to this idea, you can make wood storage sheds into any shape you like. 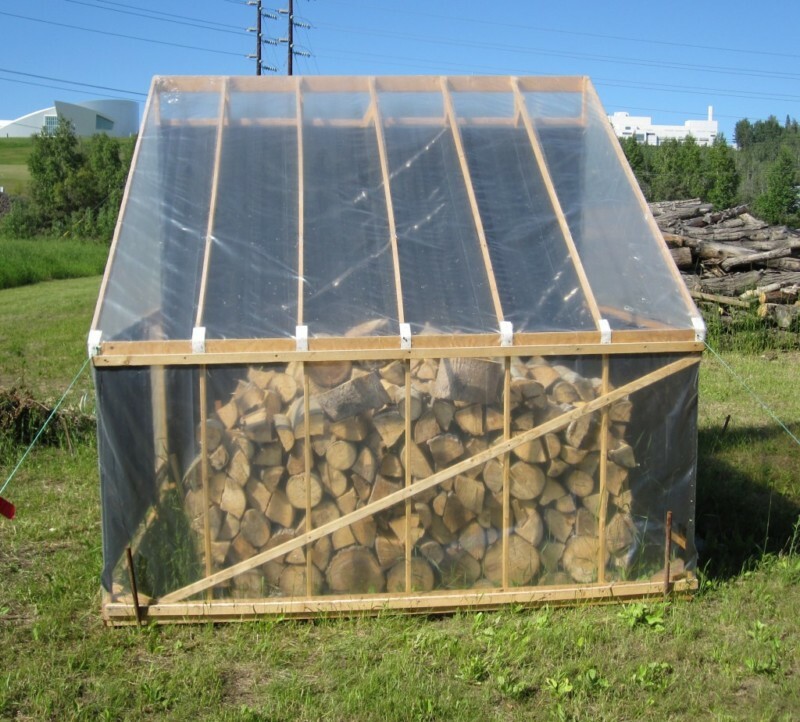 Using triangular wood sheds works well because it keeps things stacked neatly and tight too. 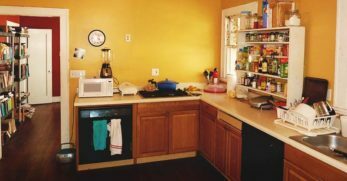 This is important because it helps to keep your property organized. It also helps to keep your property safer because the wood won’t topple over as easily. 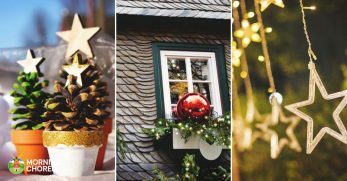 If you live in a wooden house, I don’t recommend stacking wood closely to it because you do run the risk of attracting unwanted visitors to your home. However, if you live in another type of structure, this design is cool. They build a log store at their back door. This way, they don’t have to go out in the elements to get more wood. 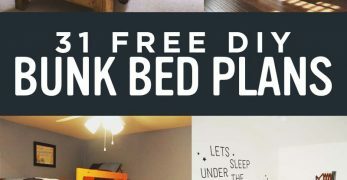 It’s an interesting idea. 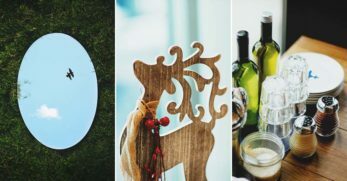 Are you someone who has basic carpentry skills? If not, do you have a buddy who could help you get started? If you answered yes to either of the above questions, you’re ready for this firewood shed. 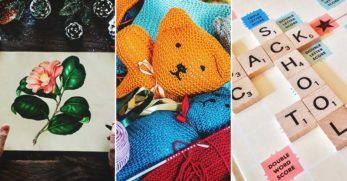 It comes with a detailed tutorial and plans to help you build. 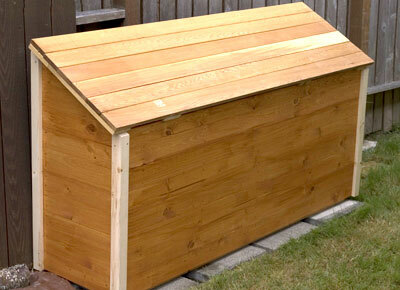 Plus, this shed has a roof and sides which is great for a damp climate. Are you someone who needs wood storage, but you aren’t the craftiest person around? 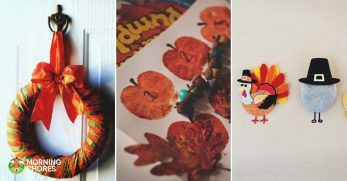 There’s something on this list for you as well. 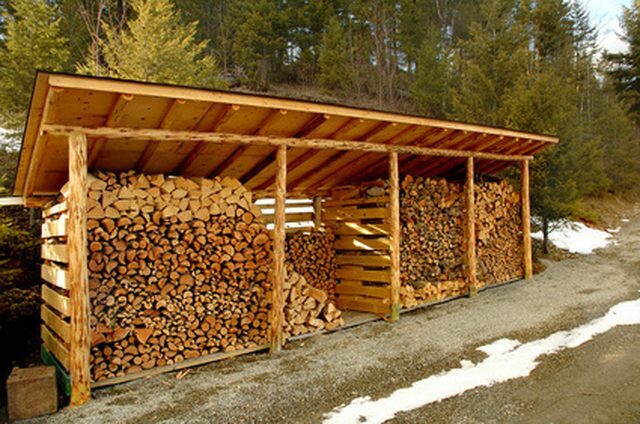 Instead of building a firewood shed, consider purchasing one. This design has a place for larger wood to be stored on the bottom and the kindling to be stored on top. Because of the roof and sides, your wood should stay dry as well. 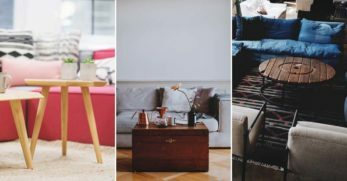 When we lived in a larger home, we tried hard to use wood heat as much as possible to keep our electric bill under control during the winter months. However, this required a large woodshed because we went through a great deal of wood. 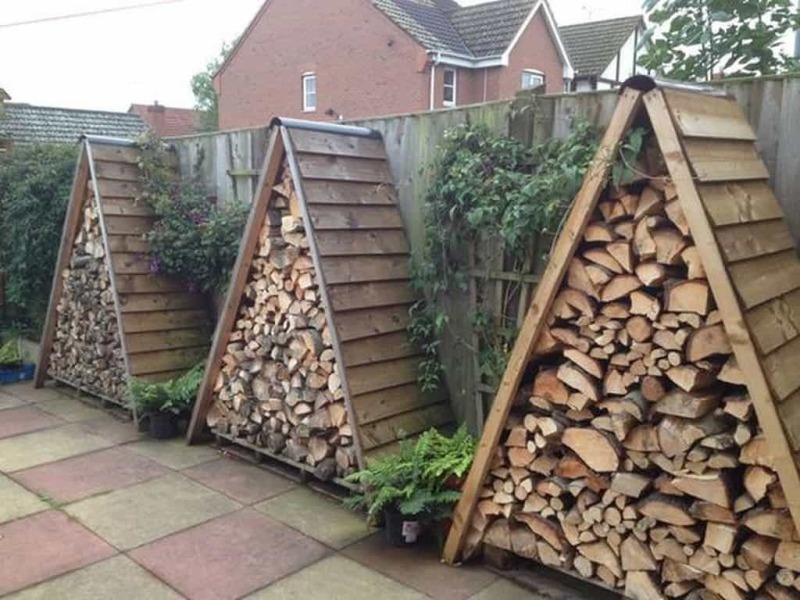 If you burn lots of wood over winter, consider this woodshed design idea where it has four separate bays for firewood storage. 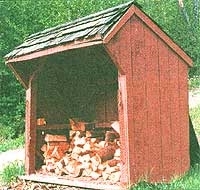 Are you looking for a traditional style woodshed? 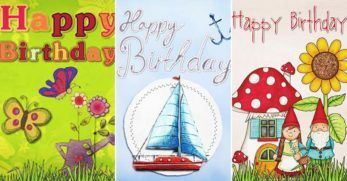 One which has a solid floor, room to walk inside when stacking wood, and a sturdy roof? Well, this could be the shed you’ve been dreaming of. Plus, it comes with detailed plans on how to properly construct it. This firewood shed has a traditional yet modern feel to it. 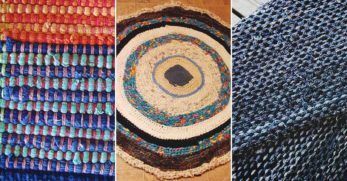 It’s one of my favorites on this list because it looks easy to construct while also being functional. 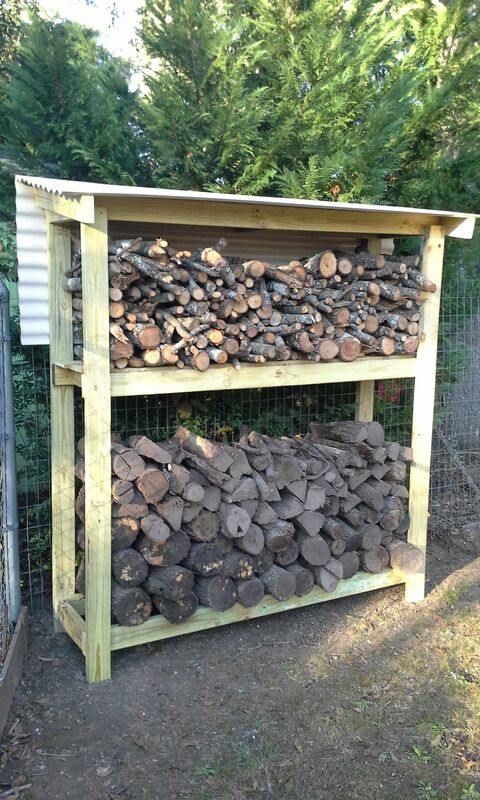 The woodshed has a solid bottom with railed sides to keep the firewood neatly stacked and in place. 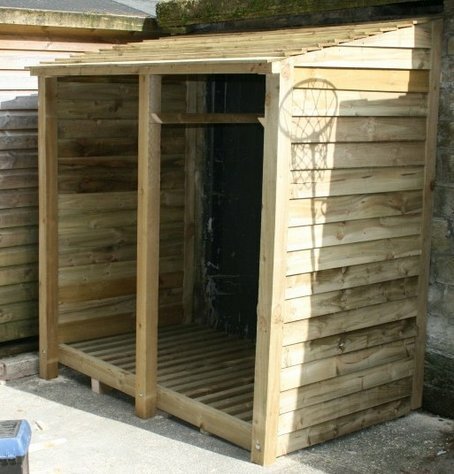 However, it has four corner posts and a roof as well to keep the wood dry from the damp elements winter brings. 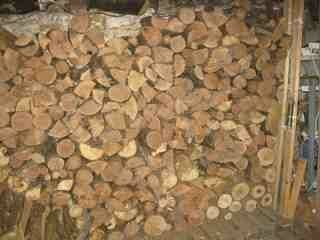 Some people need a firewood rack to store wood to burn indoors over the winter. 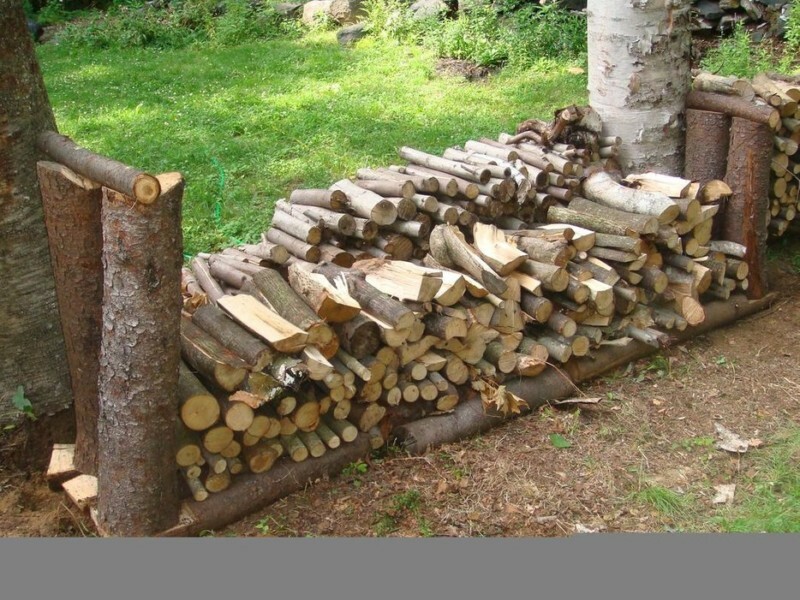 Some need a neat place to stack their wood for a firepit or campsite. If you need a firewood rack for the last two options, this rack will do the trick. It’s a rustic design where rough cut logs and stumps are used to support the wood and keep everything tidy until you’re ready to use it. 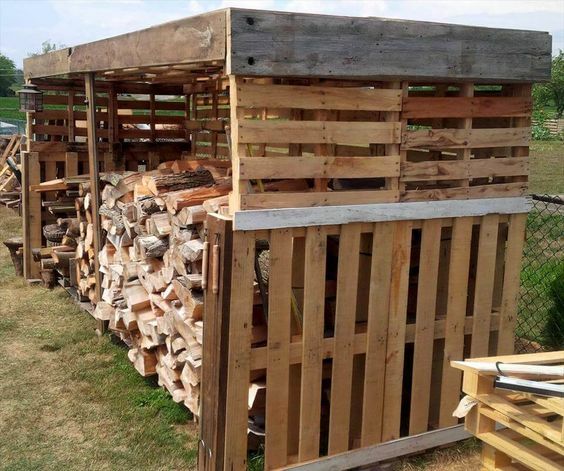 If you live in a climate where the weather is miserably cold over winter, you want to stack your wood in a convenient location. Well, an unfinished basement could be the perfect location. This firewood rack was installed in an unfinished basement, which turned out to be convenient. It’s a great idea which could keep you from making multiple trips through the snow. 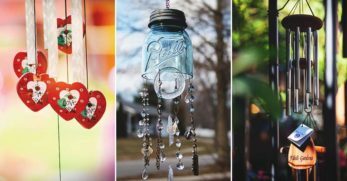 I’m a person who likes for things to function well, but if I can make them look pretty and also hide what I’m storing, it’s even better in my book. This box fits this description perfectly. It’s a gorgeous wooden box which could be discretely placed anywhere on your property. You can put your firewood neatly inside where no one would ever notice it. 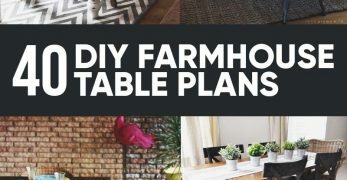 With that, you now have 20 different design options for constructing a place to store your firewood during the winter. Hopefully, you’ve found something to either help you build or to inspire your build and will keep your firewood neatly stored until you’re ready to use it.